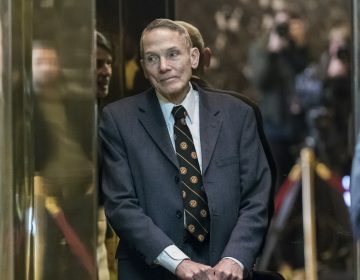 News that the Trump administration plans to create a panel devoted to challenging government warnings about climate change has been met with opposition from members of the U.S. military. Citing concerns about the effects of climate change on national security, more than four dozen top-ranking military officials came out in opposition to the Trump administration’s plan. Military concern about the effects of climate change on national security is not new. 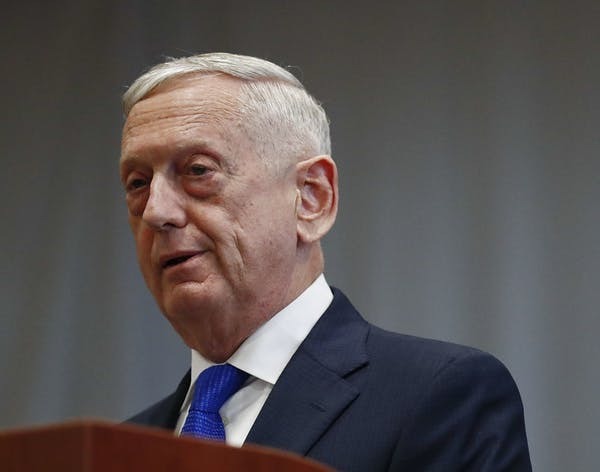 Months before former Secretary James Mattis left the Defense Department in January 2019, he acknowledged that increased coastal flooding and tropical storms, resulting from rising average global temperatures, pose a threat to as many as one-third of U.S. military bases. In addition to its potential effect on military infrastructure, climate change could pose threats to global security. A recent IPCC report predicts that rising global temperatures, drought and other extreme weather patterns are likely to become more frequent and severe across the globe. This could create competition and conflict for increasingly scarce water and agricultural resources, particularly in the developing world or in fragile states. Although climate change could pose major risks to national security, few have asked current and veteran members of the armed forces what they think about climate change and its potential effects. Our new survey research finds that most U.S. veteran members of the armed services in our sample think that the planet is warming, and many of them are concerned about what climate change means for U.S. security. Combating climate change: A call to arms? Past and present members of the military are more likely to support politically conservative views than politically liberal ones. But to characterize the military as uniformly conservative misses an important element of nuance. Numerous surveys of active duty service members and veterans in the early 2000s demonstrated that enlisted members of the military tended to vote in patterns similar to their civilian counterparts. However, recent research has pointed to a shift rightward within the military and found that higher-ranking officers and younger vets are especially more likely to be conservative, identify as Republicans, and support President Trump than nonveterans. Despite their conservative tendencies, there is a reason to suspect that armed forces members are concerned about the effects of climate change – a position held most commonly by ideological liberals. 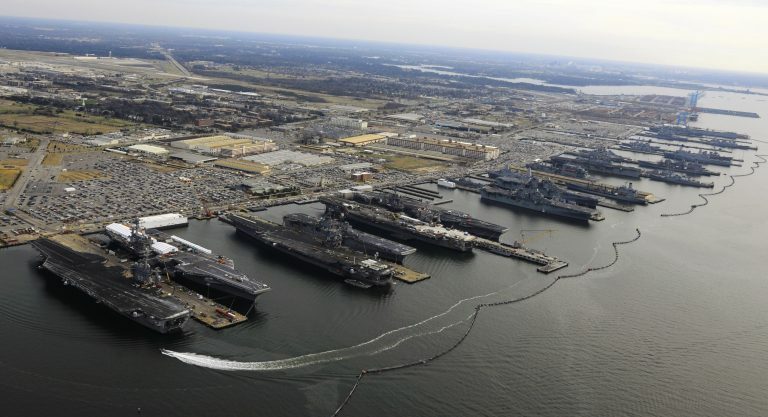 Service members might, for example, have observed the impact of major storms or rising sea levels on the day-to-day functioning of military bases. Or they could have used weapons systems that run on renewable energy sources, including aircraft, tanks and solar energy-powered backpacks. The Pentagon is continuing to take steps to address climate change, despite President Trump saying such preparation should stop. U.S. military personnel are thus likely to have more experience with climate change effects, solutions to it or both. To study past and present military personnel’s attitudes about climate change, we conducted a survey between Jan. 17-21, 2019 of 293 U.S. active duty or veteran service members, recruited via the online service Lucid. While this sample is not perfectly representative of the military writ large, it is both ideologically and demographically diverse. Our sample closely resembles veteran population benchmarks on race, educational attainment, and, perhaps most importantly, party identification. 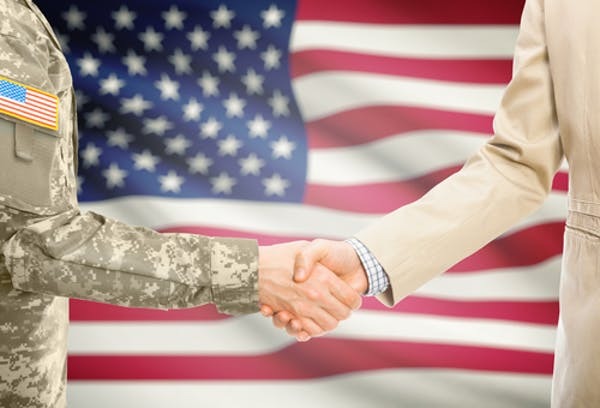 First, the survey results showed that even though veterans and active duty service members tend to be politically conservative, their levels of belief in human-caused climate change are virtually the same. In our sample, 44 percent of veterans and active duty service members expressed belief in anthropogenic climate change. This tracks closely with nationally representative estimates of anthropogenic climate change consensus in the U.S. adult population. A 2016 Pew survey that featured a question identical to ours found about 48 percent believed in anthropogenic climate change (although some surveys asking other versions of this question, like this 2018 survey from Gallup, sometimes find higher levels). The results also track closely with a recent survey on the Lucid platform, used to conduct our study, which found that about 50 percent of Americans believe in human-caused climate change. Second, we found that many veterans and active duty service members are concerned about the effects that climate change might have on security. More than three-quarters, 77 percent, of respondents, consider it fairly or very likely that military bases in coastal or island regions will be damaged by flooding or severe storms as a result of climate change. Fewer veterans and active duty service members – 61 percent – consider drought and famine-driven international military conflict over food and water resources fairly or very likely to occur. Third, we found that veterans and active duty service members who accept the scientific consensus on the causes of climate change are considerably more likely to be concerned about its effects on national security than those who do not. To be specific, 87 percent of veterans and active duty service members who accept anthropogenic climate change consider damage to U.S. military bases in coastal or island regions due to flooding or severe storms fairly or very likely to occur, compared to 64 percent of those who do not accept anthropogenic climate change. And, 70 percent of veterans and active duty service members who accept anthropogenic climate change consider drought and famine causing international military conflict for food and water resources fairly or very likely to occur, compared to 49 percent of those who do not accept anthropogenic climate change. Belief in climate change among past and active military personnel is noteworthy because veterans are an important and influential voting bloc in American politics. Veterans comprise about 7 percent of the U.S. voting population, and millions of dollars are spent every year trying to win their political support, and advance their policy priorities US$13 million in independent expenditures. Service members’ views could also affect the views of civilians, thus also pressuring political leaders to take action. The American public is deferential to and has a high degree of trust in the military. If enough veterans express concern about climate change, this reliably conservative voting bloc may push Republican officials to take policy action on climate change. The Trump regime intends to challenge the scientific consensus that climate change is a dire international emergency. According to a survey, “record numbers of Americans say they care about global warming.” But voters do not identify climate issues as key drivers of their voting decisions. vGov. 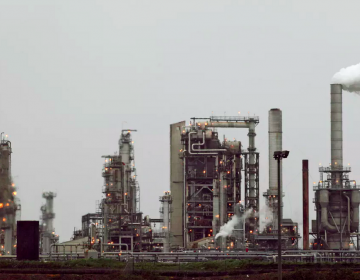 Tom Wolf kicked off the new year with an ambitious climate change goal: reduce the state’s greenhouse gas emissions 26 percent by 2025, and 80 percent by 2050.